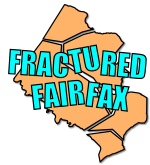 This is the main page of the Fractured Fairfax Web site, a site about Fairfax County, Virginia. The Fractured Fairfax Web site is intended as satire and should not be relied on for truth, accuracy, or good taste. April 20, 2003 – 27-year-old Wilmer Mejia-Mayen beats his girlfriend's daughter, 16-month-old Sabrina Fernandez, to death at his home in Groveton. Upon being questioned by the Fairfax County Police, Mejia-Mayen gives at least four different stories of how the child came to be injured, before finally settling on the lie that he fell on the child twice while carrying her outside. April 20, 2016 – 16-year-old Brenda C. Soto is found unresponsive in a bathroom at Lake Braddock Secondary School in Burke. She is taken to Inova Fairfax Hospital, where she is pronounced dead.